About a year ago I did a considerable amount of research on the Anglo-Russian Helder expedition of 1799 (you can read more about that here). 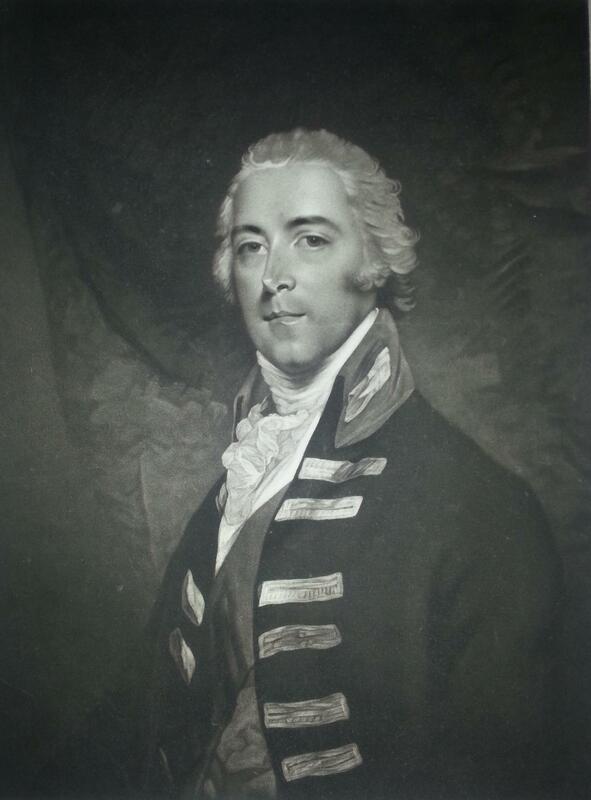 John Pitt, 2nd Earl of Chatham had returned to his military career in 1798, and was appointed to the command of the 7th Brigade in the expedition. 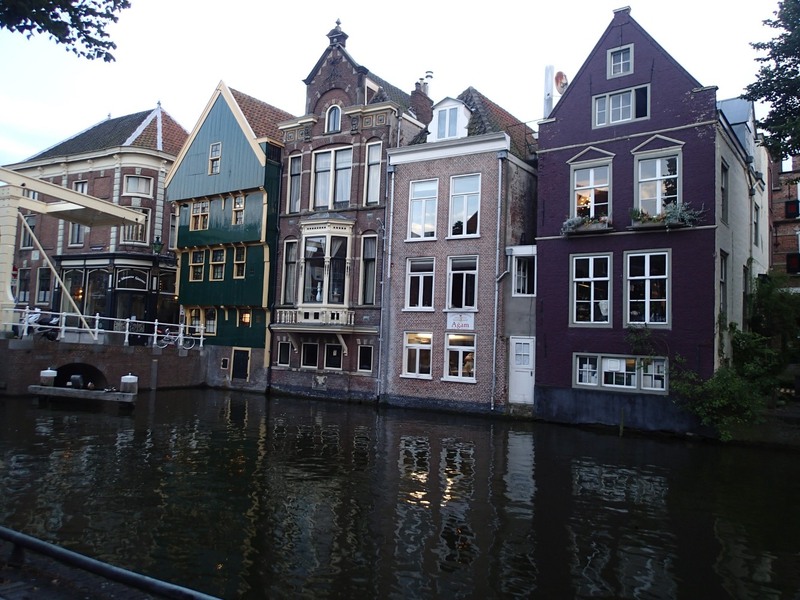 My novel follows him to Holland, and last week I finally got the opportunity to do some location research. 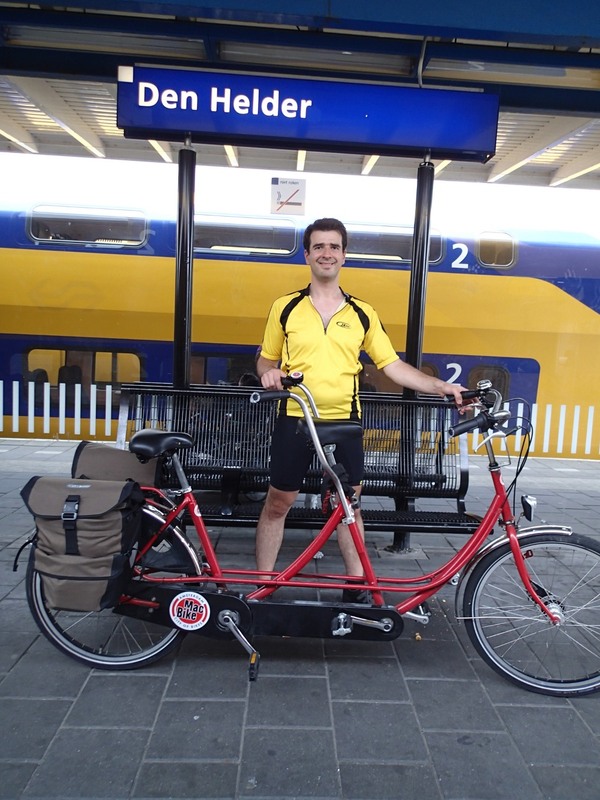 My husband and I hired a tandem, took a train from Amsterdam to Den Helder, and cycled through the most important locations associated with the campaign. What follows is Part 2 of the account of my research trip. Part 1 can be found here. We spent a little time exploring Alkmaar. 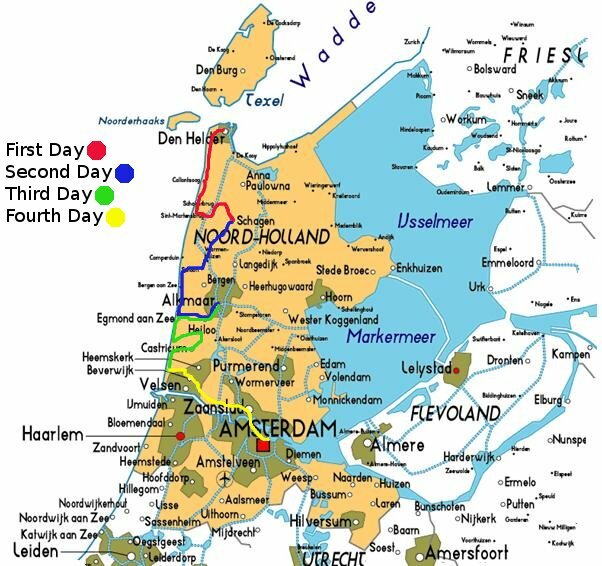 As mentioned in yesterday’s post, Alkmaar was the second headquarters of the Allied force. The Dutch General Daendels had previously used Alkmaar as his headquarters, but was forced to move out when the British advanced from Schagerbrug in the wake of the 2 October 1799 action. The Duke of York established himself in Daendels’ evacuated HQ. Alkmaar must have been a pleasant change after the middle-of-nowhere that was Schagerbrug, although the British and Russians were only able to enjoy it for slightly less than a week. Now mainly known for its weekly cheese market, Alkmaar was without a doubt the most beautiful of the towns we visited. In 1799 the town was surrounded by “a thick wall, faced with brick, about three miles in circumference, and strengthened with bastions at regular intervals” (E. Walsh, Narrative of the Expedition to Holland … (London, 1800) p 70). Now only the moat survives, but the Old Town, with canals running through its main streets lined with warehouses, cannot have changed much in two hundred years. In one of those odd twists of fate, I was just telling my husband that I did not know where exactly the Duke of York’s headquarters were when we came upon an elegant Rococo-style building with a plaque next to the front door. Between us my husband and I managed to make out enough of the plaque’s Dutch to gather that we had, quite coincidentally, located the building used by the Duke as his HQ. 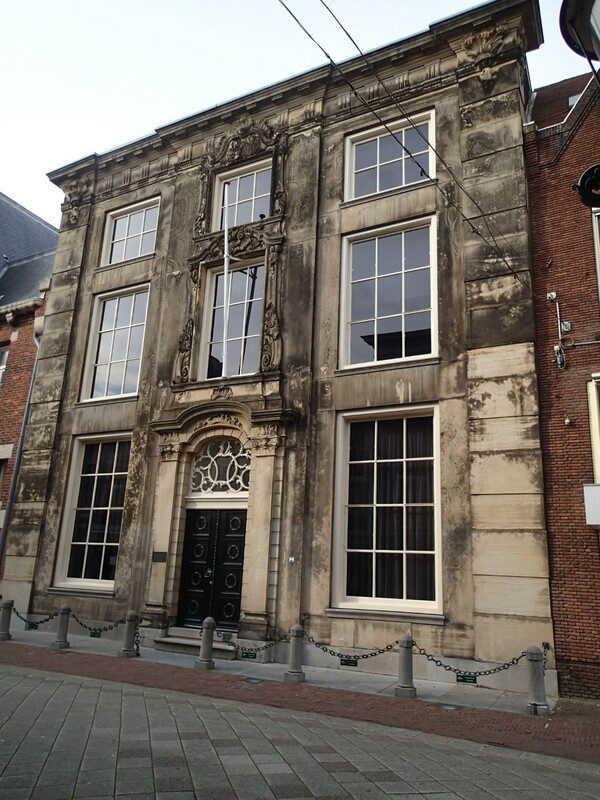 This house was originally built for the mayor of Alkmaar and must have been the best house in the town. It was just opposite the town hall, which was itself an extremely impressive building. 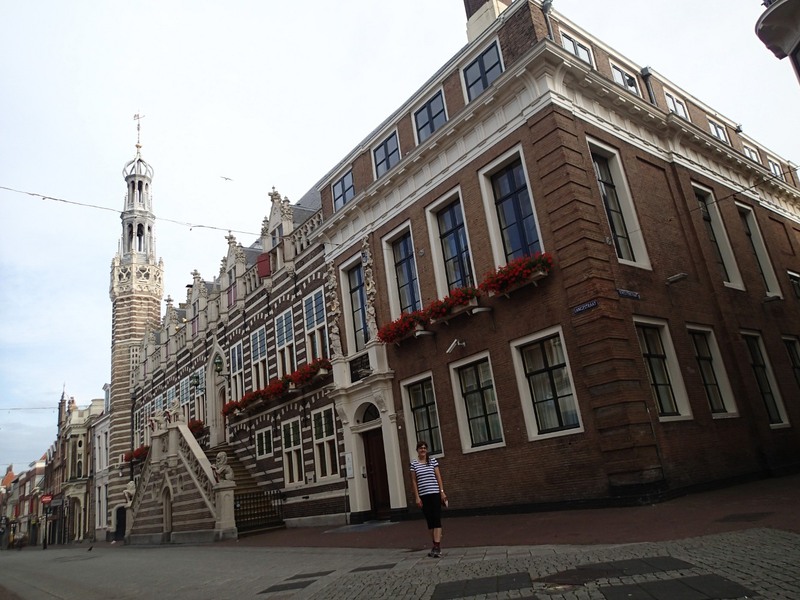 At one end of the main street was a church, the 15th century Sint-Laurenskerk. 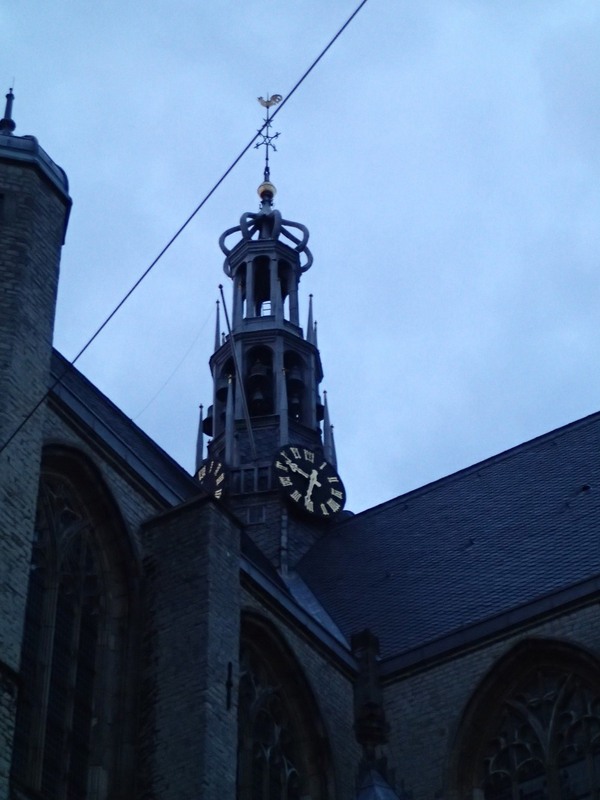 During the battle of 6 October 1799 the rain was so heavy and the visibility so bad that the Duke of York, who remained at Alkmaar throughout, sent one of his aides up the church tower to try his best to work out what was going on! We were up super early on Day 3 in order to benefit from the weather, which continued glorious. Our intention was to follow Lord Chatham’s steps on the 6 October 1799, during the Anglo-British assault on the towns of Castricum. The battle grew out of the Allied attempt to extend their line to the south in preparation for an attack on the new French/Dutch headquarters at Beverwijk, but turned into a full-on unexpected scrap when the French poured their entire resources into repulsing them. The French commander Brune himself charged the British at the head of his cavalry. The end result was a victory for the Allies, but a Pyrrhic one, and they subsequently retreated back to Schagerbrug and shortly after gave up the whole campaign for lost. To which I of course say “Hey!”, since in my opinion this is a 20/20 hindsight conclusion to make, particularly as Fortescue admits he does not know where Chatham was to be found. From looking over the Army Lists the captured units clearly belonged to Lieutenant Colonel Cholmondeley, who was captured along with a number of several of his officers. They were exchanged the following year. From this it seems clear that Chatham did not remain with the division of 2 October, but joined with Abercromby at Egmont, with whom he presumably remained for the action of 6 October. So back to Egmont we went. Egmont is now a tiny, generic seaside resort town, and although there were a few old buildings left, most of them now converted to shops selling miscellaneous seaside-related tat. It was clearly nestled right in the middle of the dunes, however, and must have been in quite a commanding strategic position in 1799. 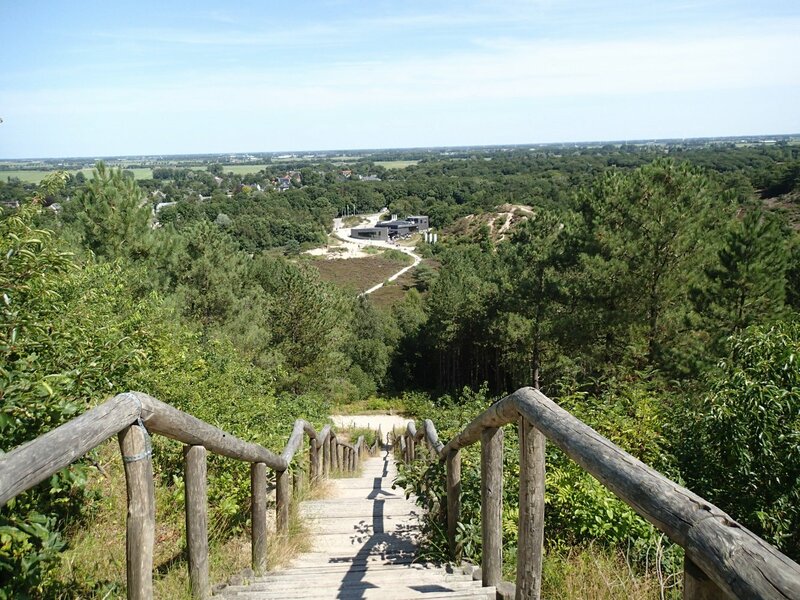 From Egmont we cycled back through the dunes towards Castricum, passing through Heiloo and Limmen on the way: two villages where the Russian force received a strong check from the French on 6 October, and where I originally thought Chatham’s men might have come unstuck. 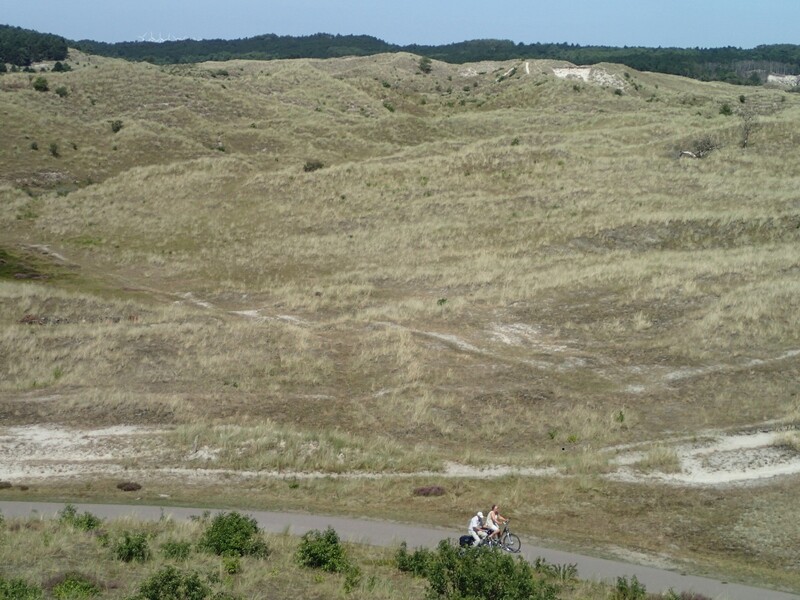 The dunes here strongly resembled the ones north of Egmont, rising up and down for miles between the sea and the flat polders of the interior. Once again, it was obvious that British infantry would have had a hard time marching up and down without being split up into divisions. The sand underfoot gave way easily, though it was largely kept in place by the omnipresent scrub and heather. As I mentioned before, the weather on 6 October 1799 was awful in the extreme, with driving rain on and off from early afternoon until long into the night. In wet, misty conditions the visibility in the dunes cannot have been good. I do not know how Lt Col Cholmondeley’s division got separated from the rest of Chatham’s brigade, but one thing is for sure: this was not ideal terrain for the British troops. After a lot of up-and-downing (who knew there were quite so many hills in Holland?!) 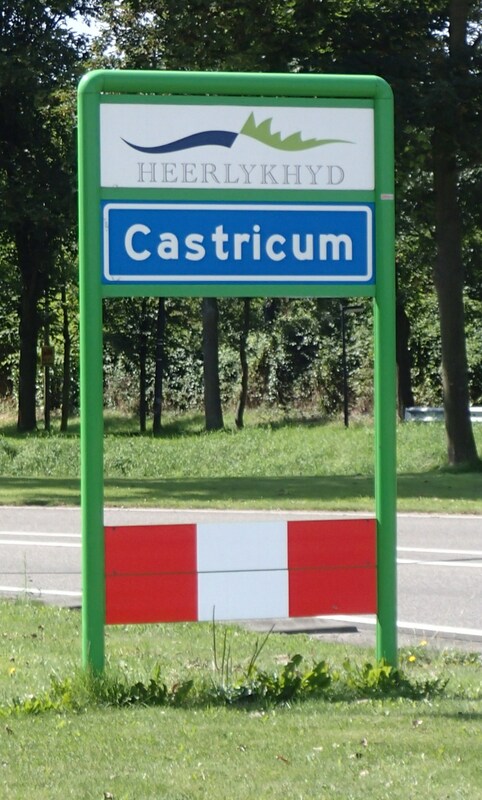 the land flattened out towards Castricum. Like Egmont, today it is a nondescript seaside town, very modern. After lunch we cycled on towards Beverwijk. Once again we entered the dunes. Somewhere on this terrain Lord Chatham received a spent musket ball to the shoulder, which glanced off his epaulette but apparently forced off his coat and waistcoat on its path. Obviously I couldn’t tell exactly where, but it was odd to be on the spot I had read about so many times. We did not manage to get into Beverwijk that day, but stopped at our hotel at Wijk-aan-Zee. In 1799 much fighting took place in this tiny village; now it’s a beach resort. Because it was such a lovely day we had to paddle, and I took an amazing shot of the sand dunes rising away to the north. Much like the British and Russians, the push to Beverwijk was our last effort. In 1799, the Allied forces fell back on a long, nightmarish march to Schagerbrug, where the decision was made on 14 October to abandon the campaign and return home. A convention was signed with General Brune on the 18th by which the British and Russians were to be permitted to re-embark unmolested in return for the release of eight thousand French prisoners of war. We decided to pop into Beverwijk to see if we could see any trace of its 1799 past, but we might as well not have bothered. Like Castricum, Beverwijk is virtually 100% modern. We found the church, which was clearly very old, and one or two older-looking houses close to the shopping centre, but otherwise, since we were not there to spend money in a high street boutique, we high-tailed it. After getting snarled up in Beverwijk’s spaghetti-like network of motorway and dual carriageway junctions, we managed to find our way out and spent the next hour and a half or so cycling into Amsterdam, which we reached in time for lunch. Following in the footsteps of the Helder campaign was quite an experience, and one I have been planning for nearly a year. I am very glad we managed to see the terrain. Needless to say the relevant chapters in my novel will be getting a significant rewrite! The train up to Den Helder was instructive. We sat with a friendly and chatty local who was interested to hear the purpose of our visit and helpfully pointed out a number of towns from the train window as we travelled up. My impression was of comparatively small, tight towns interspersed by long stretches of flat countryside. 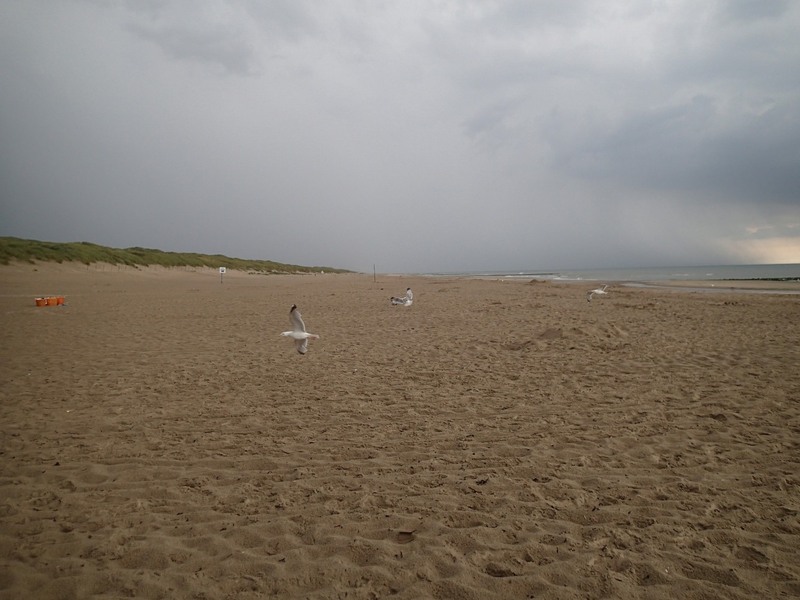 We passed through Castricum, Alkmaar and Schagen before finally arriving at Den Helder, in 1799 Holland’s northernmost point ….. about at the same time as the thunder. We set off as swiftly as we could, getting briefly lost in town while I got used to our map. At last we found the coastal cycle path, cycling up a steep incline to reach the top of the dyke surrounding the seaward-side of the town. From here we paused to take in the beautiful view towards the island of Texel: a significant strategic point for the navy in the 18th century. Eventually the rain died down, but did not completely stop all afternoon. 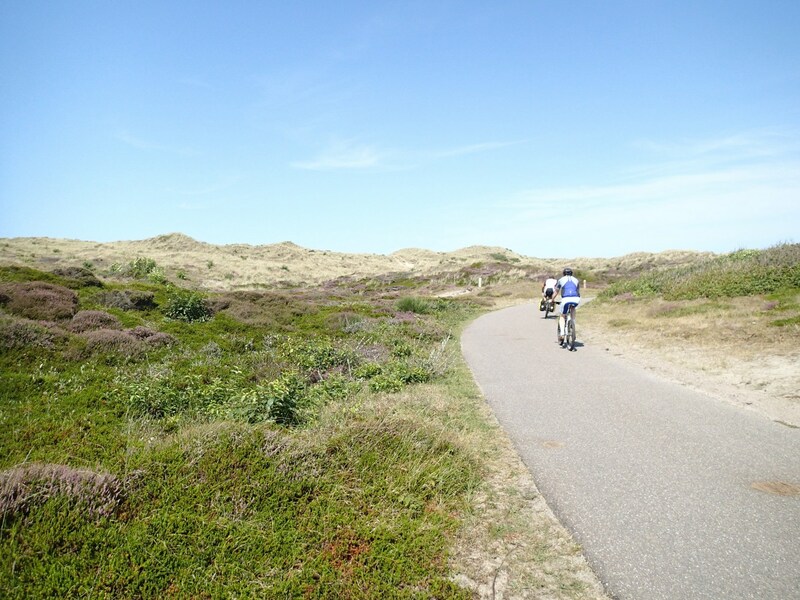 Still, at least we were able to cycle on, passing Kirkdijn Fort (1811, I believe) and turning southwards down the side of the coast towards Callantsoog. I did not take too many photographs at this point, because any attempt to stop made us cold as well as wet. Luckily the tandem we had hired was a complete tank, built for city use rather than up-and-down coastal paths, complete with a dicky first gear which (after getting stuck in it a few times) we avoided using unless utterly necessary. By this time we were entering the dunes. 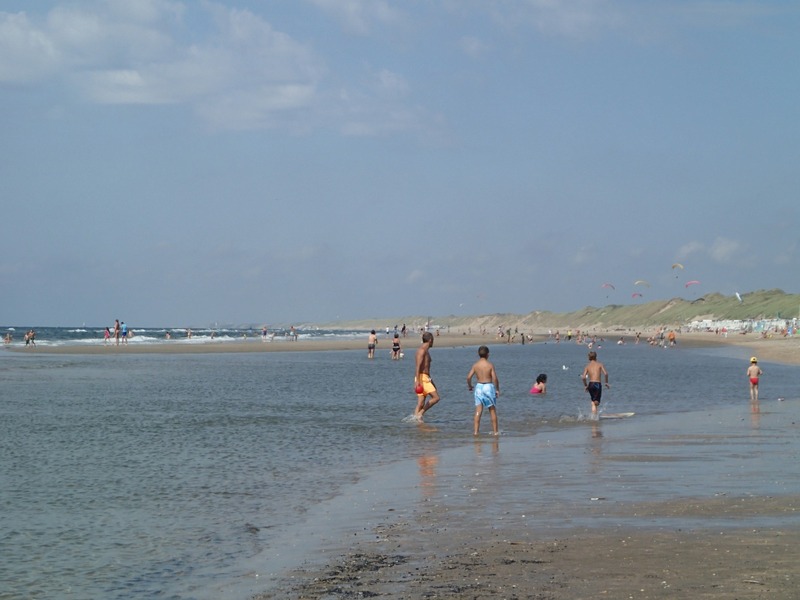 These run down the majority of the Helder peninsula coast, separating the flat mainland from the turbulent sea. Most of the 1799 Helder fighting took place in this terrain, so I was very interested to see it. Now it is a nature reserve, but I doubt it has changed a great deal in 200 years. The sand was quite dense and held together with scrub. Cows and sheep roamed everywhere. Whenever we joined the roads we saw little draining canals everywhere, criss-crossing the countryside in all directions. What with the rainfall making the roads slick with water I could see why some British soldiers, retreating at the end of the campaign in torrential rain, occasionally mistook the canals for roads and fell in. 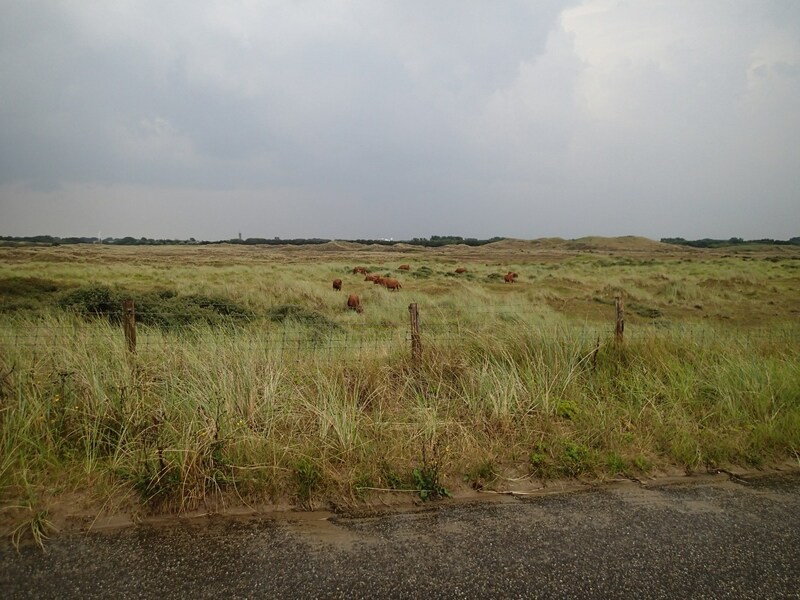 In mid afternoon we reached Keeten near Callantsoog, where the British made their first landing on Dutch soil on 27 August 1799. They were immediately challenged by the Dutch General Daendels, whom they beat back on a narrow strip of beach only wide enough for one battalion to face front at a time. It was the first pitched battle of the campaign and set the tone for the rest: short, sharp and bloody. The sand was very difficult to walk on, soft and giving way underfoot. I cannot imagine how hard it must have been for the British, who had to wade up through the surf to the beach, probably still feeling seasick, then fight their way inland. 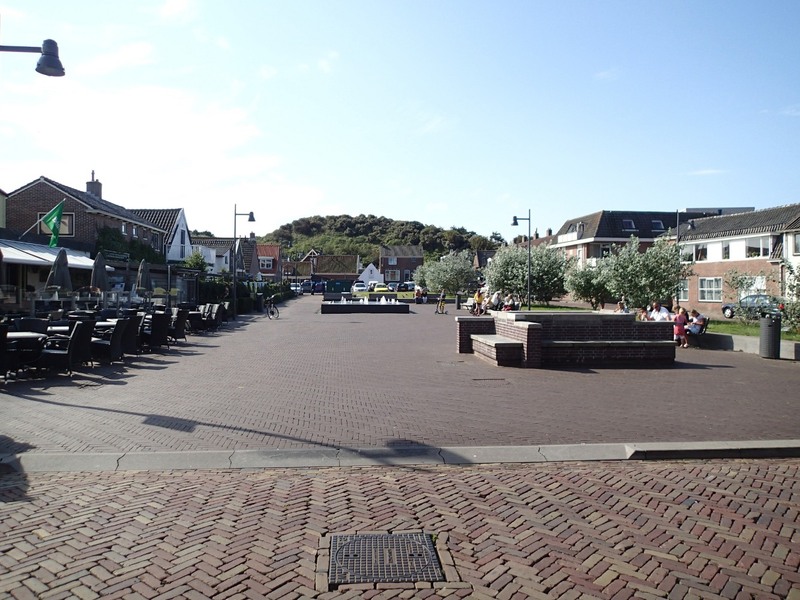 By now we were sopping, so we hastened to our destination for the night: Schagen. On the way we passed through Schagerbrug, a tiny hamlet which (as the name suggests) consisted mostly of a bridge over the North Holland Canal, a church, and … er … that’s about it. For some reason Schaberbrug was the Duke of York’s first headquarters as Commander in Chief of the Allied British and Russian army. No clue where he stayed but I did not have time to hang around and search as the weather was so awful. I have no idea why York chose Schagerbrug as his HQ when Schagen, a much larger market town, was only just down the road (can anyone enlighten me?) but I paused only to take a photograph or two. We arrived at Schagen shortly afterwards. 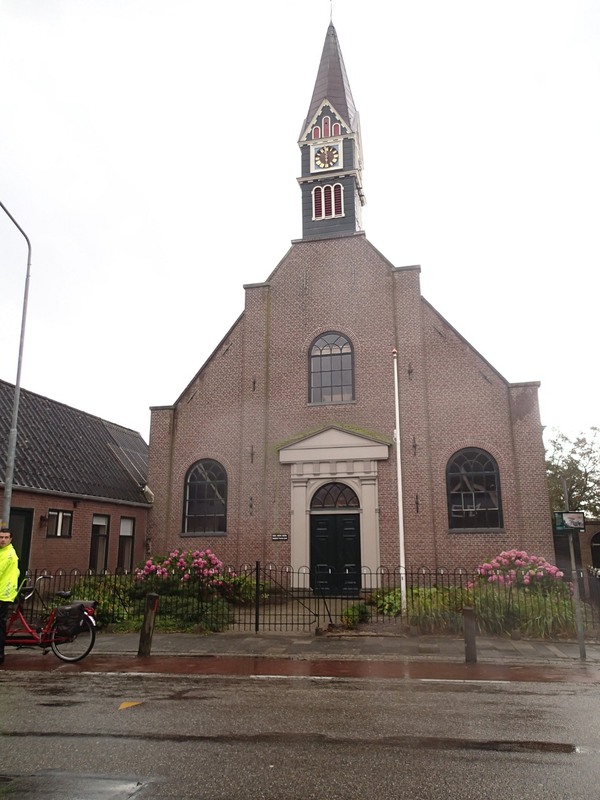 Schagen is a much bigger place than Schagerbrug, a collection of traditional Dutch brick houses with the stereotypical step-faced fronts clustered around a beautiful church. We stayed in the Castle, which it turns out was used as a barracks for British soldiers in 1799. Unfortunately the Brits trashed the joint and the castle was largely demolished in 1819. 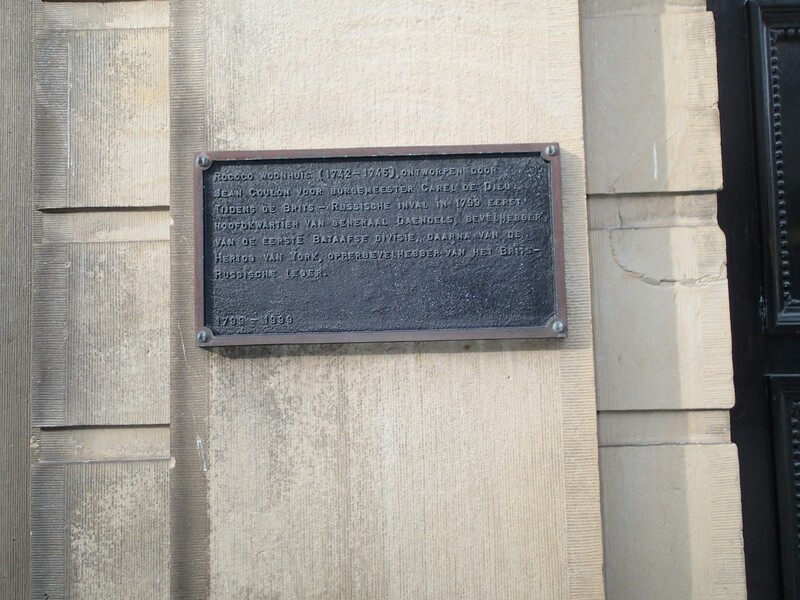 This was, incidentally, the only place where I saw a plaque commemorating the 1799 Helder campaign. The next day was dry! Hallelujah! We were glad about this, as we had both had enough of the complete 1799 experience and our shoes were still wet. 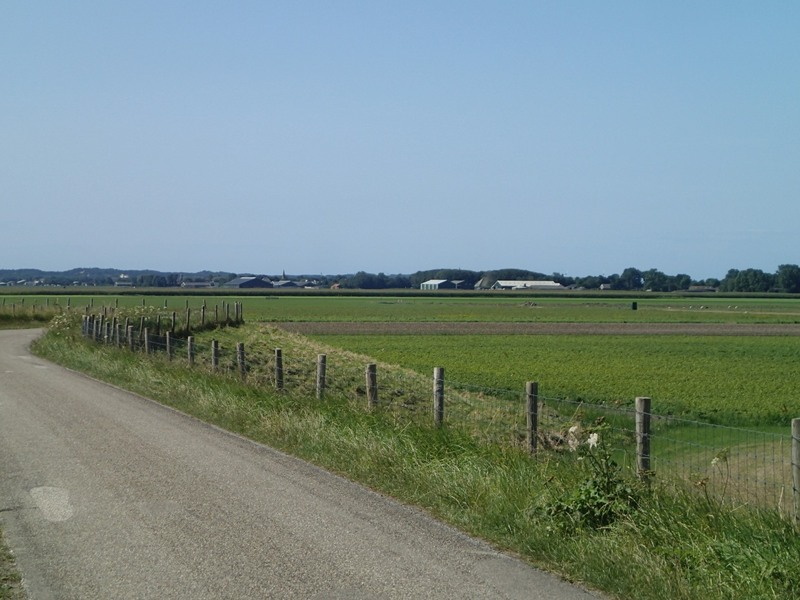 We set off about eleven across the flatlands back towards the coast, cycling largely along the top of dykes and alongside the canals veining the flat “polders” landscape. 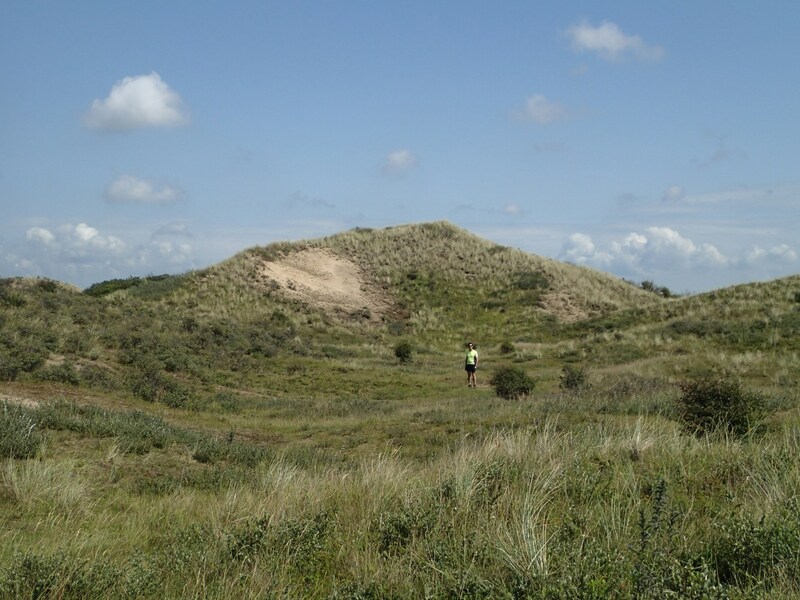 We were making for Schoorl at the base of the dunes. 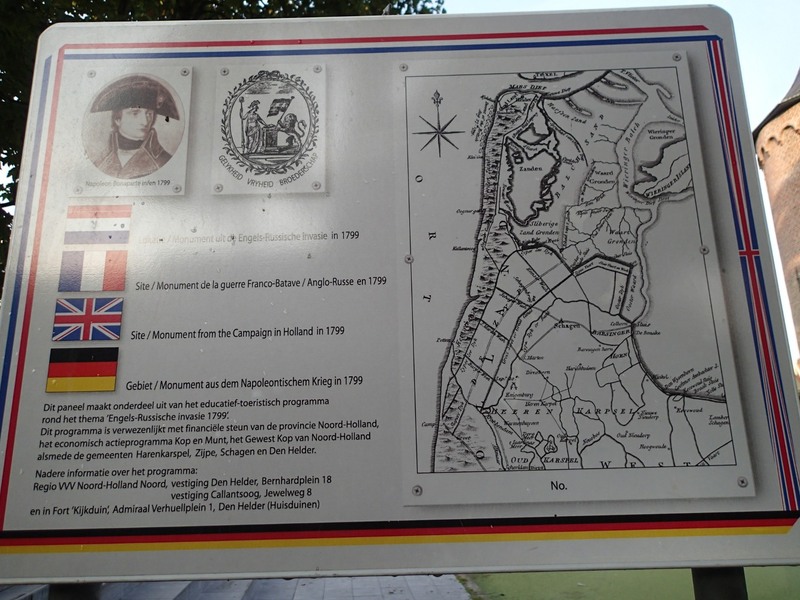 Our objective was to follow, as much as possible, the route John, Lord Chatham would have taken with his brigade on 2 October 1799 during the battle for Bergen (alas we ran out of time and were not able to visit Bergen itself, but I do not think John set foot there either). Chatham was attached to General Dundas’s brigade and tasked with acting as a reserve force for the Russians. The Russian force did most of its fighting in the towns of Schoorldam and Schoorl, but, once they had cleared Schoorl of French, refused to proceed to take Bergen. British General Coote said the Russians lay down on the ground and refused to get up when he ordered them to march. Chatham’s brigade then marched into the sand dunes to assist General Dundas, whose battalions had become scattered in the terrain. Chatham’s men helped form a stronger line and, under strong fire from French artillery in the trees on top of the sand dunes, cleared the field of enemy. We cycled in the direction I guessed John would have taken his men. The countryside was, as before, perfectly flat, but before long the dunes loomed ahead of us on the horizon. 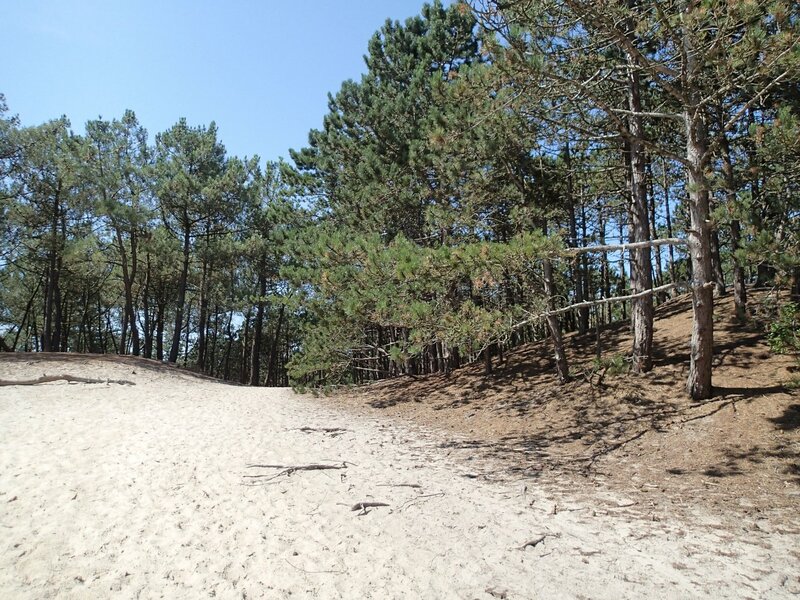 The terrain here is quite different from northern Helder: heavily wooded, with the most enormous, steep, impressive dunes. 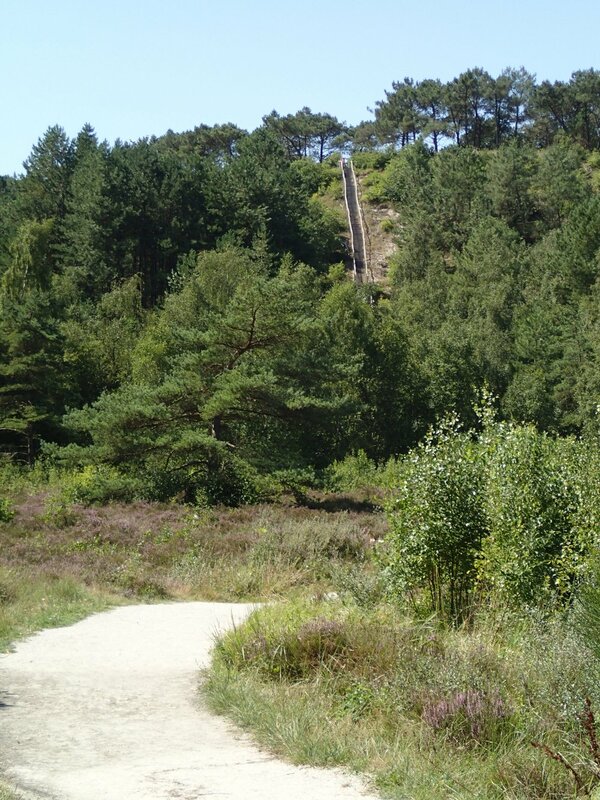 The ones at Schoorl were the biggest of all, between 150-200 feet high. Forget everything you’ve ever known about dunes: these were BIG, like small mountains with a couple of kilometres worth of undulating landscape on top covered with trees. I immediately began to appreciate why all eyewitness accounts of the campaign laid such stress on the “intricate” nature of the landscape. 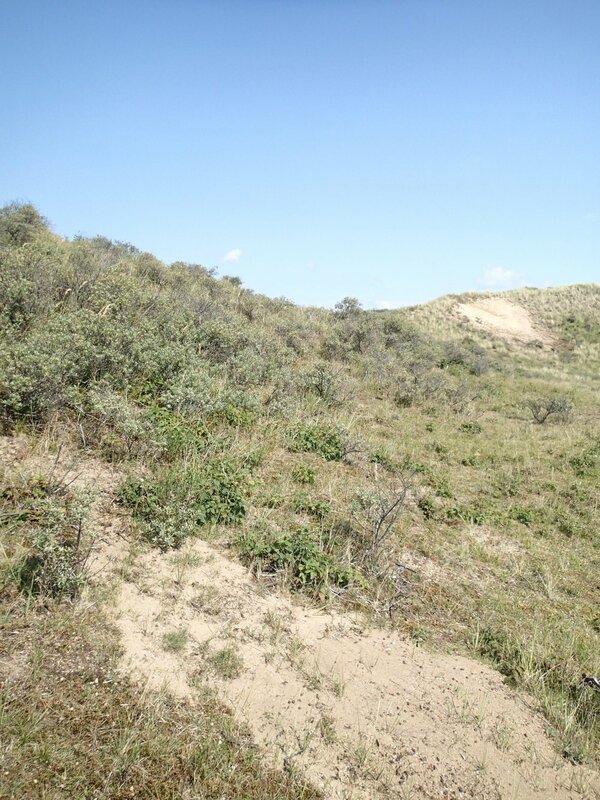 On top of the dunes, the trees were very dense. I got the impression many of them had been planted since 1799 — they were predominantly pine, and I seem to recall contemporary accounts described mainly beech and birch — but I could easily see how the French could launch ambushes from the trees on attacking troops, and there were so many tree-roots criss-crossing the ground it must have been extremely difficult to march up the sandy ground. The terrain flattened out a bit here, but remained undulating for several kilometres towards Bergen. I immediately realised how easy it would be to lose whole brigades in such terrain. The fact that the British seemed to have completely lost sight of whole branches of their force no longer surprised me. We knew there had been forest fires in the Schoorl area within the past five years, and there were unfortunately still signs that the landscape is recovering. It appears the fires were started by arsonists. Many trees were blackened stumps and a lot of the terrain still smelled strongly of ash. 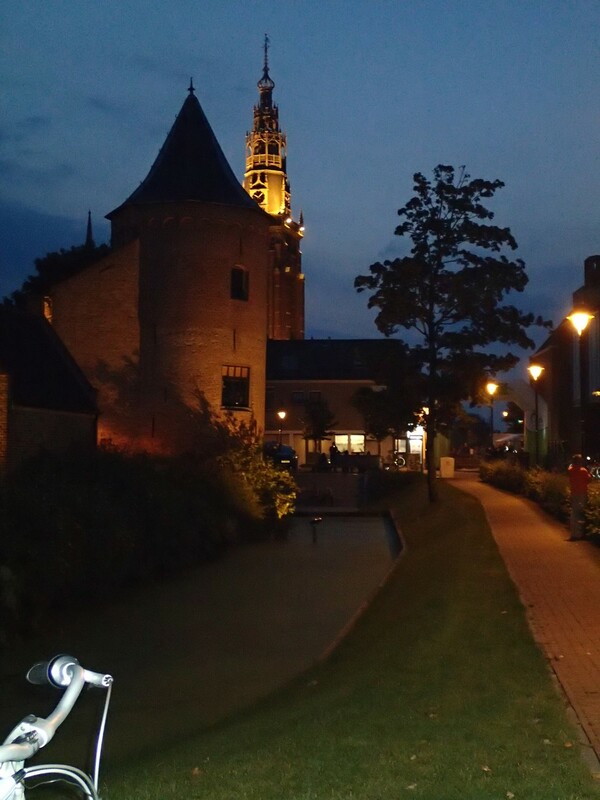 We arrived in Alkmaar early in the evening, and went straight to our hotel. Alkmaar was the Duke of York’s second headquarters after the successful push on Bergen on 2 October, when the British line moved forwards closer to Amsterdam. 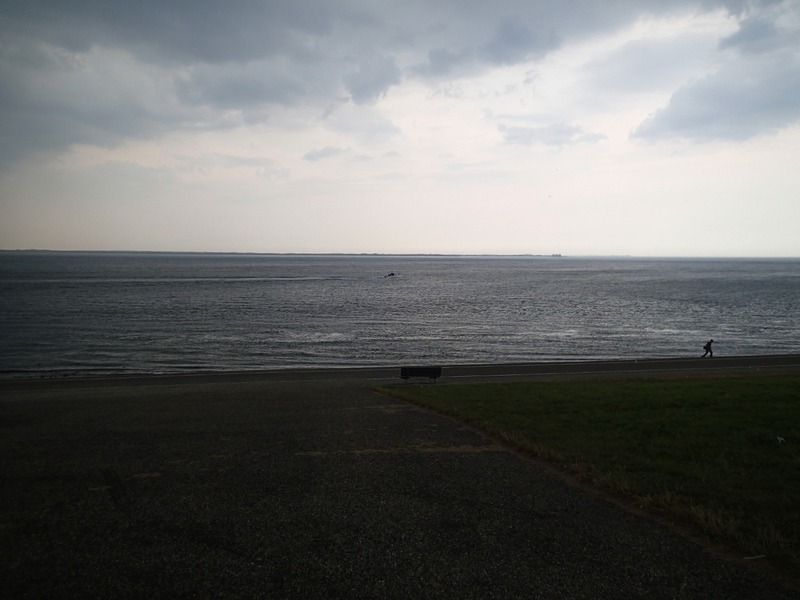 I will, however, cover that in greater depth in my next post, when I will conclude the account of our trip to Den Helder. Yesterday I spent a few hours in Nottingham University’s manuscripts department. 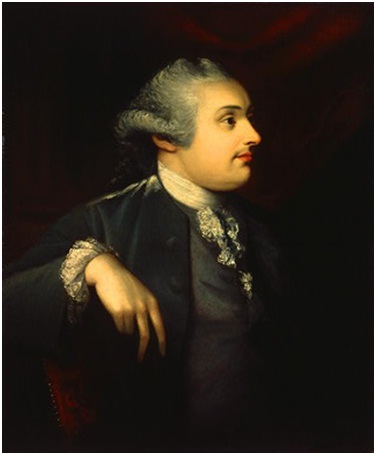 Nottingham holds the bulk of the papers of the 3rd Duke of Portland, prime minister 1782-3 and 1807-9. Portland started out as Charles James Fox’s political leader but, after the French revolution, distanced himself from the Foxite Whigs and eventually coalesced his following with Pitt the Younger in 1794. There was lots of fun stuff to look at, but nothing quite like the following exchange between Portland and Sir George Collier over Collier’s search for patronage. Dry and dull the subject may be, but as the correspondence unfolded I found myself snorting into my laptop. I’d like to share bits of it here, because it gives a flavour of the less savoury underbelly of the 18th century political game. 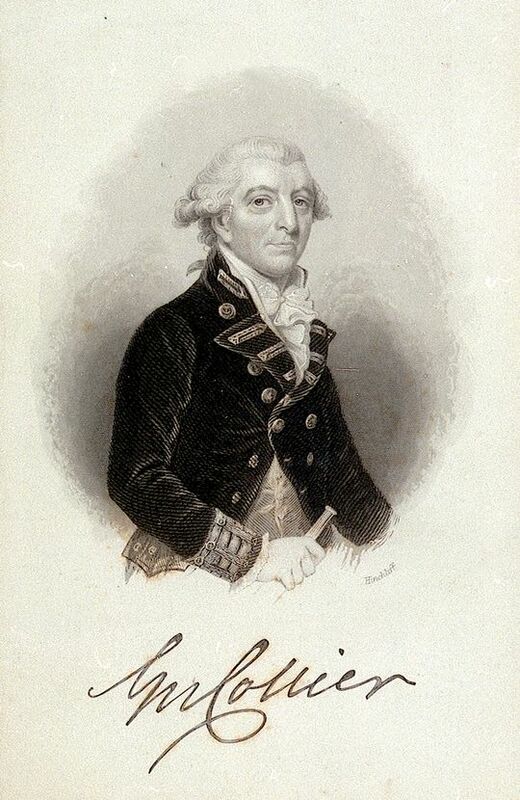 Sir George Collier was a British naval hero from the American War of Independence (… well, that’s how he would no doubt have put it). He had been successful in clearing parts of the American coast of ships and privateers, and also engaged in some spectacular one-on-one ship battles with the Spanish. Despite his almost unbroken record of success he had not received the public recognition he felt he deserved — probably because of his political affiliation with the opposition Whigs under the Marquis of Rockingham and, later, the Duke of Portland. After Portland’s coalition with Pitt in the summer of 1794 Collier decided it was high time he got that recognition. He was hard-up and needed cash. What does an 18th century public figure who is hard-up and needs cash do? Why, he unashamedly grovels for a government-funded office, of course. Subtlety not being Collier’s strong point, he informed Portland exactly what he wanted: “There is no Flag Officer at Chatham, tho’ there is at Sheerness … An appointment for that Post might easily be reviv’d, if Lord Chatham [the First Lord of the Admiralty] chuses it.” Collier felt his health was “so tender & indiffferent, that it is ill calculated (I fear) to encounter the Fatigues & Hardships of foreign Service”, as a result of which he wanted to remain at home. Creating a new post at Chatham was his favourite plan, but he expressed himself just as happy to take the admiralty of any of “the other Royal Ports (Portsmouth, Plymouth & Sheerness)” or the command of the Downs. A week later Portland had not replied, and Collier began to get edgy. “I have been more than anxious to have had the Honor of one Line from You … This great Impatience & Anxiety, makes me again venture to take this fresh Liberty”. Why was Portland ignoring him? There could be only one reason: Collier’s political record stood against him with Pitt’s government. As a supporter of the Portland interest, after all, Collier had opposed the government on a number of issues, most notably the Regency Crisis in 1788/9. “I perceive I don’t stand well, with Lord Chatham by his Inattention on several occasions, nor can I divine or guess the Reason Why, tho’ I have taken some Pains to know; but all Conjecture is quite at a loss.” In fact Collier thought he knew exactly why he was getting Chatham’s cold shoulder, but at this stage of the correspondence he was loath to set it down in black and white. What Portland thought of all this I can’t say as I have found only one letter from him in return, but presumably at this stage he could do little anyway. Lord Chatham was away from his desk due to ill health from the end of August to the end of September, so Portland would in any case have been unable to do anything but pass on Collier’s letters. In early October, however, Chatham was back at work and Portland evidently promised to speak with him in person on Collier’s behalf. Collier again urged his desire for a new command to be created at Chatham dockyards, and wrote a memorandum for the First Lord of the Admiralty explaining his opinion on why “the King’s Service woud be so much expedited & better carried on by having a Commander in Chief at so principal a Port”. When Portland’s silence continued still longer, Collier’s tetchiness increased several notches. All floweriness dropped away from his correspondence, and he became much more direct as the suspicion that he was being deliberately ignored solidified in his mind: “I am entirely at a Loss respecting my future destination … had You (my Lord) had an Opportunity of speaking to Lord Chatham on the Subject, I flatter myself your great kindness woud have relieved my anxiety”. Remarkably, Portland did not do what I would have been tempted to do in his situation (tell Collier to get stuffed). He wrote back agreeing to take Collier’s son on in the Home Department (cue Collier’s relapse into overly orotund flattery: “I received with sincere Gratitude of Thanks, your Grace’s most obliging Letter … the knowing I have the Felicity to be esteemed by your Grace, is a most powerful & pleasing Cordial to me”). “I admit there was nothing definite in his answer,” Portland concluded with comical restraint, “nor can I say, He gave me any reason to hope for the Chatham command”. He nevertheless thought from something Chatham had said that a naval command might soon be found. This was, obviously, not what Collier had been hoping to hear. He reminded Portland that he did not want a naval command, and concluded that this was yet another example of political blackballing: “I am afraid, my Lord, that my Sins have arisen out of my political Character … I am passed over … as the Beacon to deter others from venturing to have an Opinion in future”. He reminded Portland again, pointedly, of the “7 strong Claims upon me”, and there the correspondence rested for a month or so, presumably to Portland’s relief. “I own his Inconsistency & affronting Absurdity almost overpowers my Senses, & I can with difficulty keep within the bounds of moderation [… so going up to five exclamation marks, presumably, was right out]. … I despise it [Chatham’s affront], & should be truly happy to express to Lord Chatham some little of my feelings, on this ungenerous occasion: but I restrain myself out of the Respect I owe your Grace”. “It is only then left me with a Heart flowing with grateful sensations to assure Your Grace they never will be eras’d, & that I shall never fail to remember your Goodness; I am with a fervency not to be expressed & more strong if possible than if your generous Endeavours had been crowned with the Success you wish’d for me, Your Grace’s most devoted & much obliged servant George Collier”. Luckily for Collier, even as he was recording his desire to poke Chatham in the eyes the First Lord of the Admiralty was in the throes of being sacked by prime minister Pitt. Chatham’s successor at the Admiralty, Lord Spencer, was a Portland Whig. Collier saw his chance and finally got something he requested: the Command of Sheerness, which he obtained in January 1795. Unfortunately he did not live long enough to enjoy his salary, and died four months later.